Modern villa of 430m2, built in 2013, located between San Antonio and San Rafael on a plot of 18,000m2. 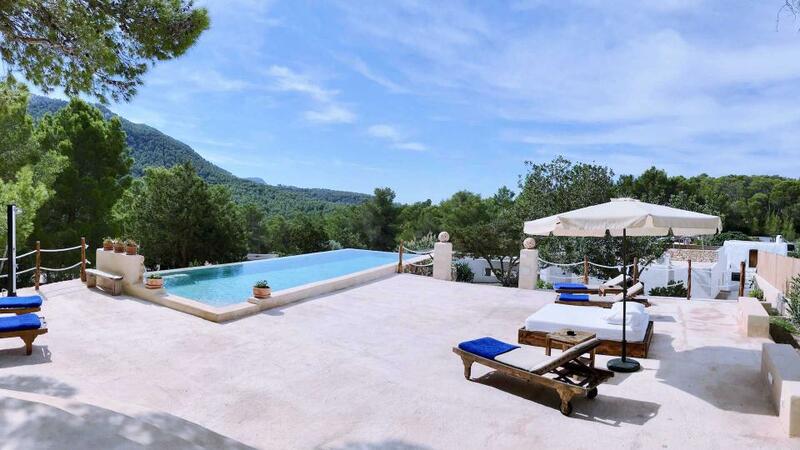 Thanks to its excellent location, this villa is ideal for those seeking tranquility and privacy without sacrificing the convenience of being just a short drive from the city center. Room, Ground level. This bedroom has 1 double bed 160 cm. Bathroom ensuite, With shower. This bedroom includes also private terrace. Room, Ground level. This bedroom has 2 single beds 90 cm. This bedroom includes also private terrace. Room, 1st floor. This bedroom has 1 double bed 180 cm. Bathroom ensuite, With shower. This bedroom includes also private terrace. Room, 1st floor. This bedroom has 1 double bed 150 cm. Bathroom outside the room, shared, With 2 washbasins, shower. This bedroom includes also private terrace. Large living room with flat screen TV (ASTRA satellite), quality music system. Portable Bose iPod dock. Access to the main terrace. Open American kitchen, fully equipped with induction, oven, dishwasher, fridge-freezer (2), Nespresso coffee machine (Kups), blender, toaster, kettle. 1 laundry with a dryer and washing machine. Small TV area (DVD only) and sofa for watching movies and relaxing. Table tennis and 2 umbrellas. 10 sunbeds around the pool. 3 tables with capacity for 6, 8 and 10 people. 18.000m2 of ground and natural vegetation. The most beautiful beaches of the island are 15 minutes by car: Cala Conta, Cala Bassa, Cala Salada, Punta Galera, Cala Tarida, where is our office. 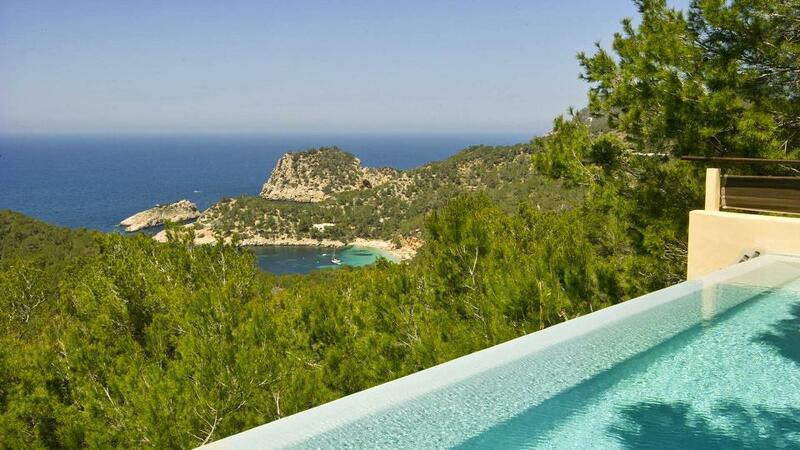 Ibiza Town is 15 km away, San Antonio and San Rafael are 5 km away. Very comfortable house for a holiday with a group of friends or with the family.